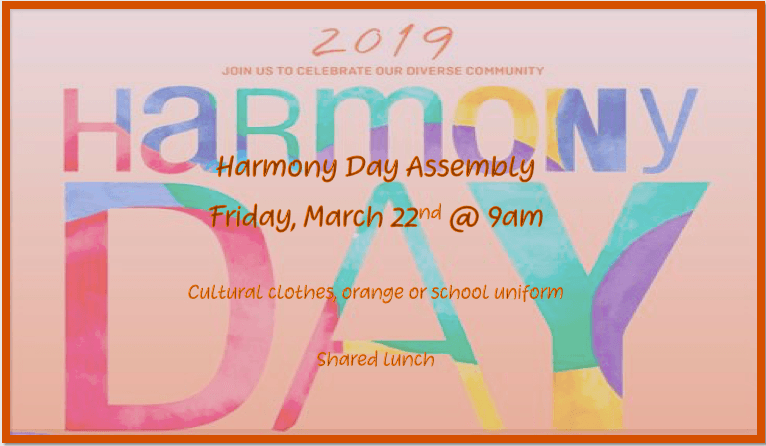 Next week, on March 21st, is Harmony Day! On Friday, there will be an assembly to celebrate our diversity. The children have been practising their dances and preparing their iMovies. Please come along to watch them!